Your mother marks you first. Maybe you were too young to remember when you first suckled at your mother’s breast, or the first time she actively ignored your cries, doesn’t matter, the mark was being made. Criticisms and affirmations, facial expressions and that floppy footed gait of yours, all handed down from your mother. Generational preferences made for you before your mother even considered you. Hate them all you want, in the end, the density of your blood will eventually convince you to concede to the point where you wear that mark, reluctantly at first maybe, and then without shame. My mother died ten years ago this coming September. When she died, my brothers and I instinctively looked to our father for some sort of comfort. All I remember finding was a man wrestling with his own grief and aside from an assortment of expiring condiments, an empty refrigerator. I remember the sadness of that refrigerator because I checked it out of habit, to see if there was any iced tea in it. 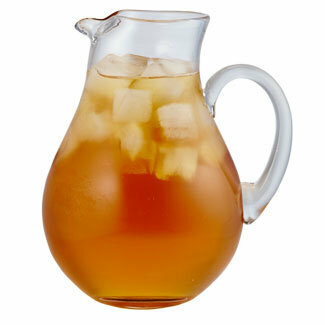 My mother was a pretty heavy tea drinker, hot tea mainly, but she kept iced tea in the refrigerator too. The relatively large amount of empty cubic feet he had, compared to the small amount of condiments slowly expiring in his fridge, got to be kind of downer. It took me a while to figure out that the old man had no inclination to make any tea, and so I started making my own. A pot of water, three large Lipton tea bags, and sugar to taste obviously. Other than the twenty-three chromosomes gifted to me, the taste for tea, and the ‘recipe’ lived on so to speak. Liking and making iced tea was/isn’t that big of a deal, but it was/is a connection to my mother that I found a bit of comfort in. I take comfort in mothers marking you first, mark you ’til the very end.